We run the full range of RYA Motor Cruising Courses but by far the most popular is the RYA Dayskipper Practical (Motor) particularly as this also enables many to apply for an ICC or International ‘License’ (over 10m). The course can be taken on your boat or ours, either as an individual or by joining a group. Dates for courses on our boat are given in our calendar but we are happy to arrange other dates so please give us a call to chat through your requirements and we’ll to schedule something to meet your needs. If you’re looking to take the course on your own boat we can be even more flexible and can often arrange things quick quickly if needed, just email us your preferred dates and we’ll try to accommodate. You do not necessarily need to have worked through the whole scheme in order to move onto the advanced courses. If you already have boating experience please contact us to discuss the most appropriate level of course to join. These are one and two days courses respectively, one focussing on crew members and the other on those wishing to handle motor cruisers in very local waters. 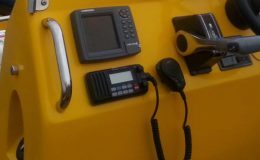 The content of the Helmsman course is similar to that covered on the powerboat level 2 course but covers the techniques required for bigger boats. It focuses on low speed close quarters handling, man overboard recovery, an introduction to driving at planing speed, and collision regulations. It can be taken by those aged 12 and over if accompanied by other adult family members. Please contact us to arrange courses or discuss potential course dates. 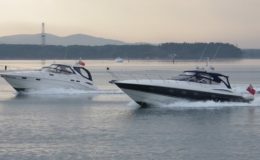 This is a four day course which looks at the techniques required to handle a motor cruiser both in confined spaces but also undertaking short passages. It includes an introduction to night navigation. 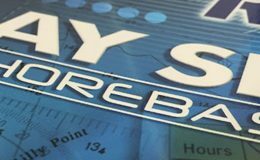 In order to gain the maximum benefit from the course your navigation skills should be at the level of Dayskipper Theory standard. For further information on our Dayskipper Theory Courses please look at our Shorebased Theory courses. We run these courses on demand so please contact us to arrange a convenient course date. The Dayskipper Certificate can also be used as evidence of competency for your ICC (International Certificate of Competency) over 10m. These are more advanced courses designed for those who have progressed past the Dayskipper level who wish to develop their skills further perhaps looking at more advanced passages or potentially certificates of competency. Please contact us to discuss course dates as these courses are run subject to demand. There is no formal Yachtmaster Course but instead we can offer bespoke prep weeks based on your current skills. Please contact us to chat through your requirements with our Chief Instructor in more detail. He has prepared many candidates for their exams and a chat will help confirm the most appropriate prep route required for you as an individual. We run the courses to suit you, our client. Our courses run seven days a week so if you want to book a course with a friends or family or on your own boat just contact us with your preferred dates and we will do our best to accommodate you. 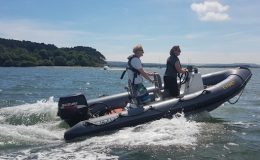 Dorset Marine Training operates all year round. If you would like to join a scheduled course please have a look at our calendar or just give us a call to discuss. We want people to enjoy being on the water and whilst there is a syllabus and a standard to be achieved, we also want to work with you to ensure you meet your own objectives. Some people want advice on how to get afloat after the course, others how to get started in a career on the water and other people how to take control of the boat if their partner is incapacitated. Whatever your reasons for taking the course we are keen to help you achieve these objectives. Our courses are usually run by our Chief Instructor so you can be assured that you will receive enthusiastic and attentive instruction. There are two options: You are welcome to book the full course for yourself to ensure one to one tuition, to bring along friends or family to take the course with you or to book on a scheduled course with other students. Many of the courses can be taken on our boat or yours. If taking the course on your own boat then we can train at a location suitable for you and a number of people can betrained at a time. Your boat should be at least 7m and will generally be over 10m for the motor cruising courses. 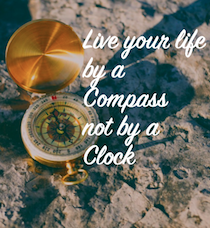 We usually run these courses for three or four people who book together and there is normally just one course running at a time which means we can give you our full attention. If you have booked an individual place then there may be other students on the course with you. Can I obtain an ICC or International ‘License’? Yes the RYA Dayskipper Practical Course does allow you to apply for an ICC. In the UK this is administered via the RYA and you should ensure you meet their eligibility requirements listed here – http://www.rya.org.uk/knowledge-advice/boating-abroad/icc/Pages/hub.aspx . We are happy to assist with the application at the end of your course if needed. Your course will almost certainly be taught by our Chief Instructor. You can therefore be assured that you will receive enthusiastic instruction from an Instructor who is keen to ensure you achieve the most from your training. 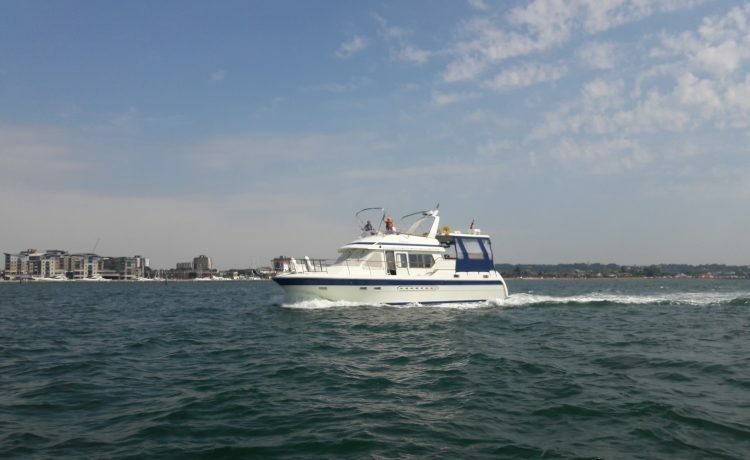 We operate from the Port of Poole & Poole Quay Boat Haven Marinas. This allows us to get out in the harbour and to our training ground very quickly. It also means we have easy access to facilities for food stops! If the training is on your own boat we are happy to discuss other locations. If booking a course on our boat then the courses are usually run on a Trader 475. You can visit the RYA page to find out information about the courses within the Training scheme and to confirm that we are a recognised training centre www.rya.org.uk.